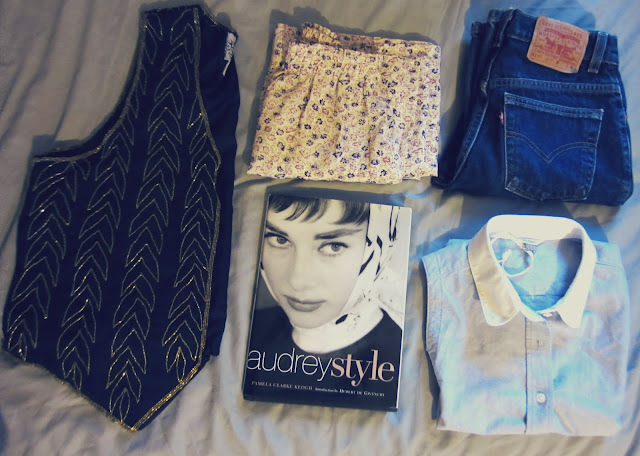 I usually don't buy this much stuff, except that I hit three thrift stores in one day teehee. I am a big Audrey Hepburn fan, I've seen and own many of her movies so I was especially happy when I spotted her style biography. As for the Levi's pants, I'll cut them into shorts because only the top part fitted perfectly. I've been getting Secret Reward cards for years and always gotten $10, I wonder how many of you have gotten more than $10 on your Secret Reward Card ? awesome haul! lovee the vest!